On Friday, July 28th at the Metropolitan Club New York, the Foundation celebrated 30 years of awarding research grants, honored our Scientific Council, and announced the winners of our annual Klerman & Freedman Prizes, which recognize exceptional clinical and basic research by scientists who have been supported by Young Investigator Grants. The evening began with a discussion led by Dr. Herbert Pardes, President of the Foundation’s Scientific Council, titled Pathways to the Future. 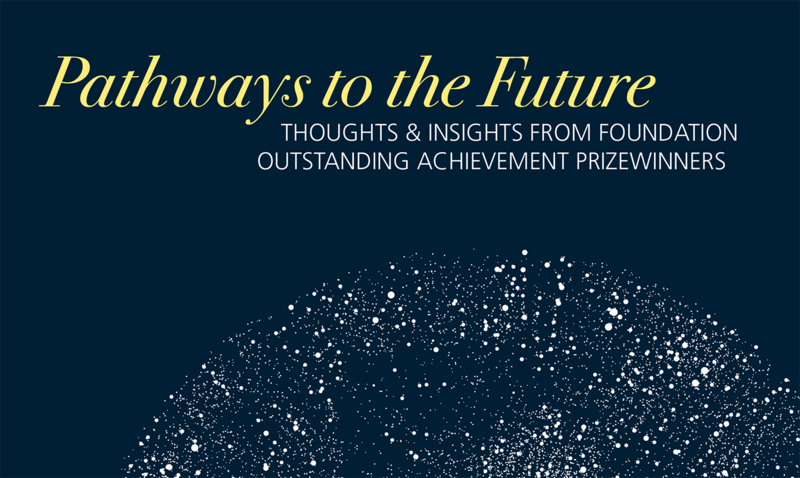 The discussion stemmed from a magazine created for the event which featured a compilation of short statements of thoughts and insights on the current state and future prospects of brain and behavior research garnered from more than 80 past Foundation Outstanding Achievement Prizewinners. “There still remains much to be learned, but brain and behavior research has made enormous strides since the Foundation’s inception. In fact, recent technological advances have made possible research that would have seemed like science fiction 30 years ago,” noted Dr. Borenstein. The evening also honored the 168 members of the Foundation’s all-volunteer Scientific Council for their service to the organization. The Scientific Council review and select the most promising research ideas with the greatest potential to lead to future breakthroughs. Six young scientists received recognition for their remarkable work in brain and behavior research with the awarding of the Klerman & Freedman prizes, named for Dr. Gerald Klerman and Dr. Daniel Freedman, neuropsychiatry pioneers who played seminal roles as researchers, teachers, physicians and administrators. The annual prizes recognize young researchers whose work in depression, bipolar disorder, obsessive-compulsive disorder, schizophrenia, Parkinson’s disease, anorexia nervosa, and autism spectrum disorders further advance the quest to identify the biological roots of mental illness, develop new diagnostic tools, more effective and targeted treatments, and pave the way toward prevention. The 2017 Klerman Prize for Exceptional Clinical Research was awarded to Jennifer C. Felger, Ph.D., MSCR, Assistant Professor, Department of Psychiatry and Behavioral Science, and Laboratory Director of the Emory Behavioral Immunology Program at Emory University School of Medicine, and an Associate Member of the Winship Cancer Institute at Emory University for her work on The Neurocircuitry of Inflammation-Induced Anhedonia in Depression.